The curator at Western Australia Cricket Association Ground (WACA), Perth, Cameron Sutherland has warned India that the pitch will be green top, sharp and bouncy and will assist the seamers. 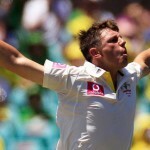 The visitors have suffered the previous two Tests as they found themselves hurt by the fast bowling of the Kangaroos. They could post more than three hundred runs just once in the second innings of the Sydney Test when a score of 400 runs was achieved. Earlier the curator at Sydney, Tom Parker also gave a wakeup call to the visitors about the nature and behaviour of the wicket at that venue. He anticipated that the wicket will be bouncy and provide great assistance to the fast bowlers on the first day of the Test. 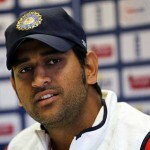 The Indian Captain, MS Dhoni perhaps did not take a note of that warning and besides winning the toss, elected to bat on a green top wicket. They suffered as the whole team was bowled out at 191 runs on the very first day in just 59.3 overs. They were unable to recover in the match which was lost ultimately by a huge margin of an innings and 68 runs. Australia beat England in December, 2010, at Perth by 267 runs and all 20 wickets were grabbed by the quickies of the home side. Sutherland indicated that the pitch will behave like it did in the Ashes series previously and the batsmen will find it hard to negotiate the quality express bowling. 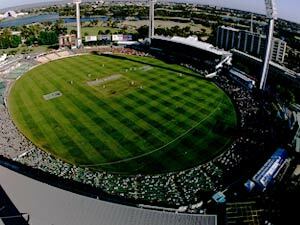 India has sweet memories of their last trip to WACA, when they defeated the Australians by 72 runs on January 19, 2008 and the match was over in four days. Their pace trio of RP Singh, Irfan Pathan and Ishant Sharma captured 16 wickets of the home side and put them on the back foot. The visitors are 2-0 down in the series already and will try to bounce back by winning the third Test which starts from January 13, 2012, while punishing the quickies of the home side.